The Worship Ministry at Crossroads Christian Fellowship is a vibrant part of the overall worship experience for the fellowship each week. Alex Morrow oversees these areas of ministry, which include instrumentalists, vocalists, sound technicians, lighting, and the visual projection. Our musical style of worship is contemporary and includes a variety of musical instruments including, acoustic and electric guitars, keyboards, drums, bass, ukulele and flute. We enjoy a rotation of servants each week, which keeps the experience fresh and involves more people each month. To introduce people to Jesus Christ through the lyrics of music, help them grow in Christ-like maturity by singing of Biblical truth, and equip them to reproduce the process in others through songs of exhortation. To minister God’s love and grace to believers and non-believers through the ministry of music, and to present our thanks and praise to God for all that He is, all that He does in our lives, and all that awaits us in His glory. It is our desire that the worship teams present music both in the church and out in the community – to let our light shine before men, so that the world may see our love and draw near to God. To teach, equip and encourage the church body through worship in song; and to teach, equip and encourage those in the body with musical gifting to use and develop their gifts for God’s glory. To provide a weekly time of devotional Bible study, prayer and fellowship, as well as weekly rehearsals; and to offer workshops and seminars for the purpose of improving our skills. To raise up those who are called as worship leaders from among the body who can grow and develop their skills in leading worship, both in small and large group settings. 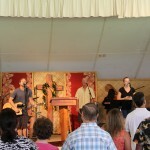 To encourage worship team members to share their faith and pour their lives into others, who can in time do the same. To grow the ministry as the church body grows, by being inclusive of the new people whose gifting God brings to the church body. A love for the Lord and His people. A worshiper of God, both in private and in public. A heart and availability to serve: we’re not looking for superstars. Living a lifestyle that exemplifies the life of Christ and the qualifications of deacons, as found in 1 Timothy 3 and Titus 1. Committed to attending the weekly worship services. Committed to a life of prayer. An intermediate to advanced level of musical or vocal ability. Committed to personal rehearsal time. Attendance at our weekly worship team fellowship, currently Tuesday evenings, 6:30pm to 9:00pm. Everyone serving on the team will need to attend both Saturday and Sunday services for that week, and arrive by 5:00pm on Saturday, and by 8:00am Sunday mornings. If you are interested in serving in the worship ministry, please download a ministry application and then contact Alex Morrow. Once it is reviewed, you will be ‘auditioned’ to determine your talents abilities, and invited to the weekly Worship Ministry Fellowship, and you will be given opportunities to demonstrate your calling to this ministry. 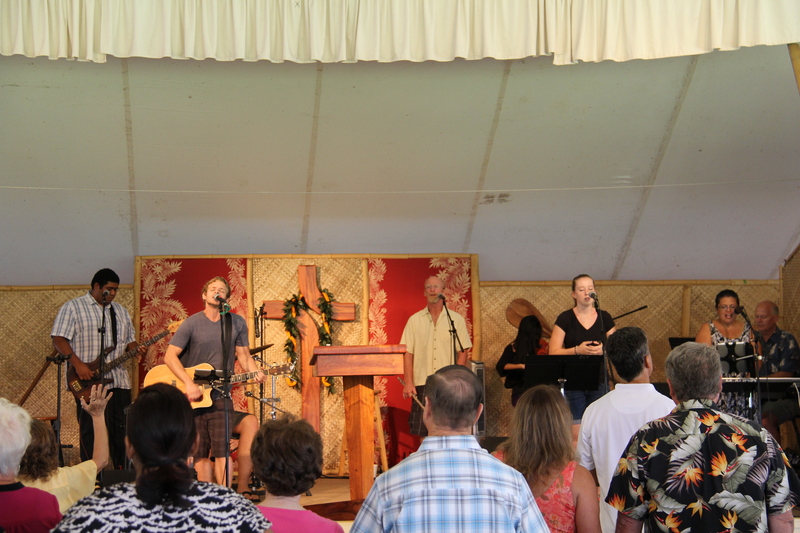 Once approved, you will be put on the team schedule to be a part of a musical team for CCF services and events. Click HERE for a worship application if you are interested. To introduce people to Jesus Christ through the tools of amplified sound, help them grow in Christ-like maturity by demonstrating godliness in both personal and ministry environments, and equip them to reproduce the process in others through discipling them in serving the Lord. To provide quality amplification of live and recorded music and teaching at a volume that is acceptable to the majority of the congregation. To train others with gifts and abilities to serve in the sound ministry. Faithful to the Lord and obedient to His appointed leaders. Do a sound check with the worship team. Get the wireless microphone out and check battery level before giving it to Pastor Bob or the guest teacher. Record the message and sometime the worship during the service. Play background praise and worship music before and after the service. Strike the stage of sound equipment and close up the sound booth after the service. If you are interested in serving in the sound ministry, please download a ministry application and then contact Alex Morrow. Once reviewed, you will be trained by a qualified sound technician on how to operate the sound equipment, and once trained you will be given opportunities to demonstrate your calling to this ministry. Once approved, you will be put on the team schedule to run sound for CCK services and events. Click HERE for A-V Team Application if you are interested.